At this month's assembly, we were pleased to welcome Laureen Goerzen from the Cancer Society to make a special presentation to Joey De Sousa. 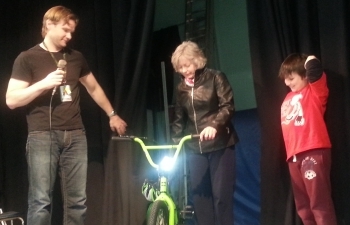 Joey's fundraising efforts for the Terry Fox Run resulted in his name being drawn as the lucky winner of a new bike. Congratulations, Joey! Is your child new to Kindergarten this September? 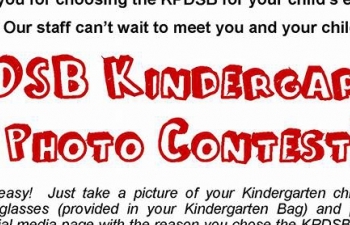 Enter our KPDSB Kindergarten photo contest!